Built by physicality and freak athleticism, Ole Miss WR D.K. 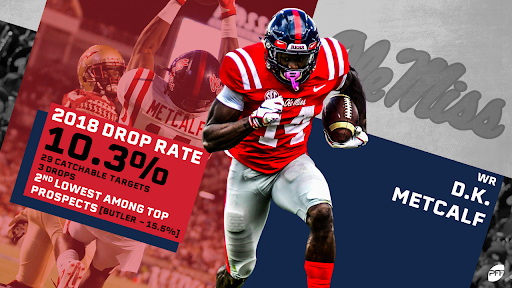 Metcalf comes into the draft as PFF’s top receiver and 17th overall player on PFF’s draft board. Despite a 71.9 overall grade this past season, his ability to explode off the line of scrimmage and overpower coverage defenders makes him a high-risk, high-reward prospect in this draft. 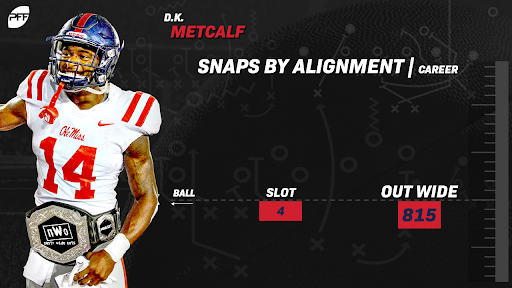 When Metcalf was on the field for Ole Miss, he was used solely out wide. He had only four total snaps in the slot. His lack of versatility could hinder his success at the next level. 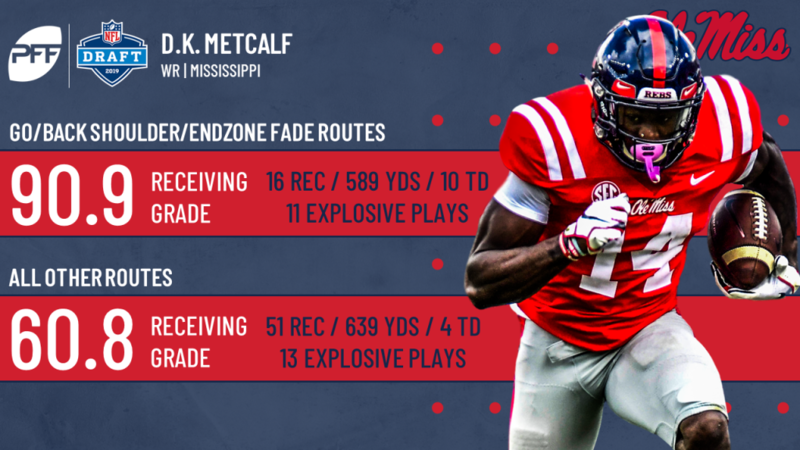 With his speed and athleticism, Metcalf has the potential to be an effective receiver in the NFL but an uncertain future due to his unproven past.